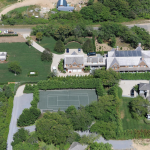 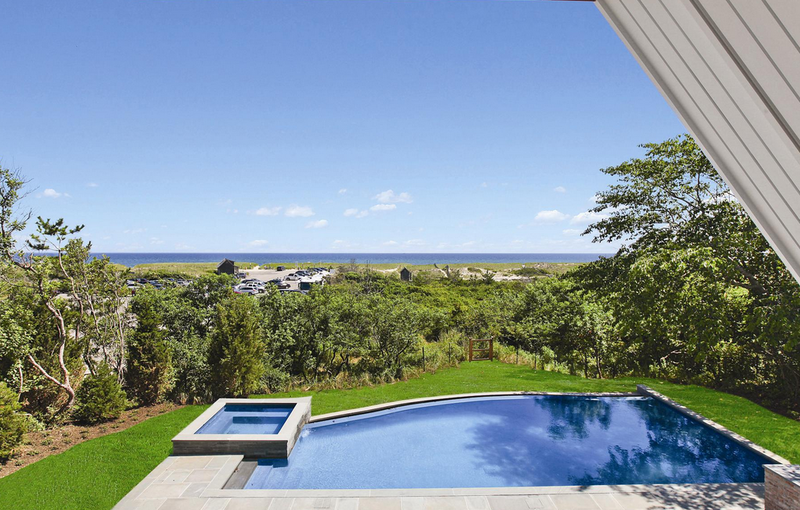 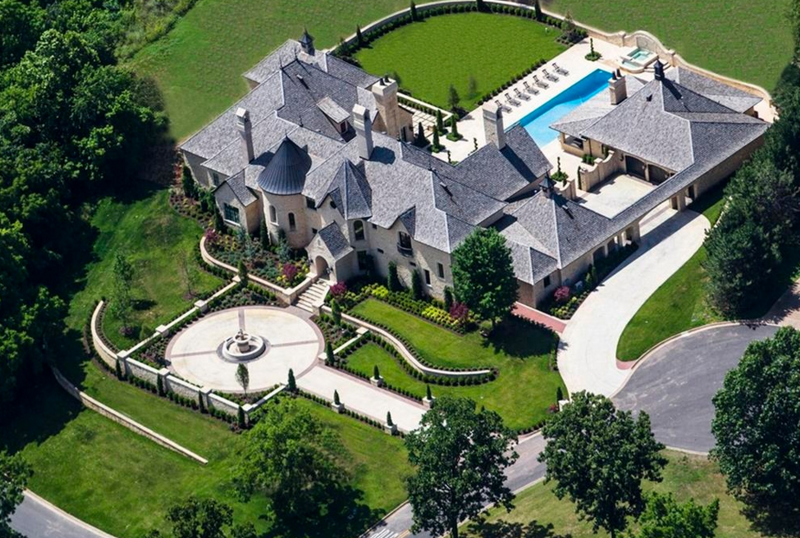 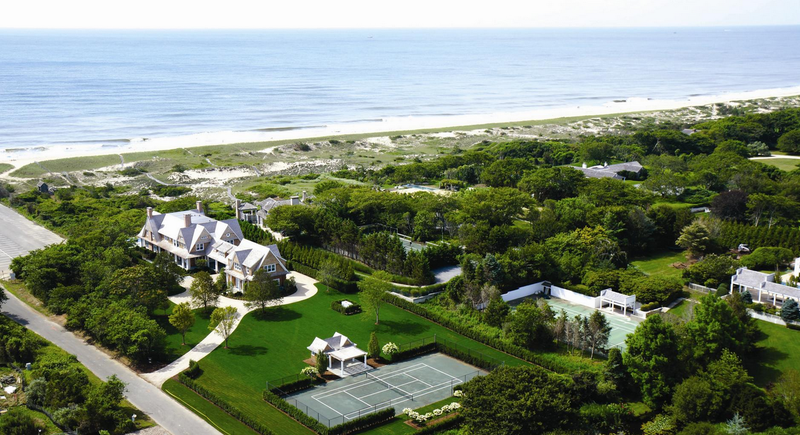 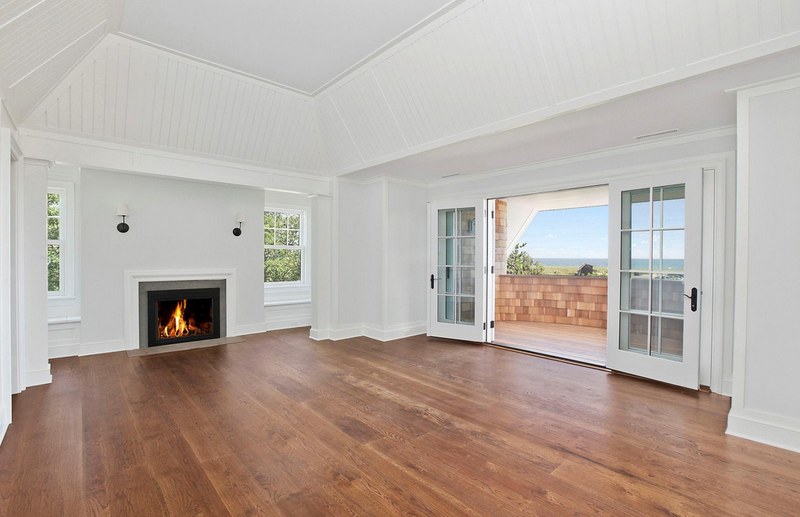 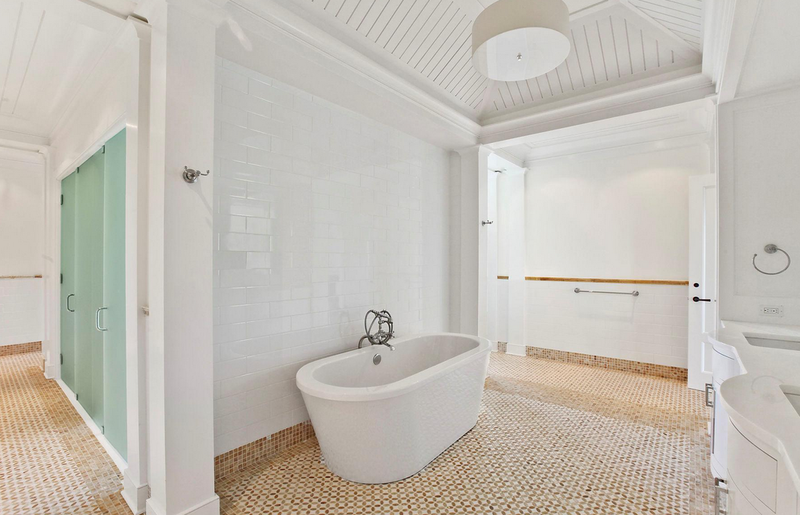 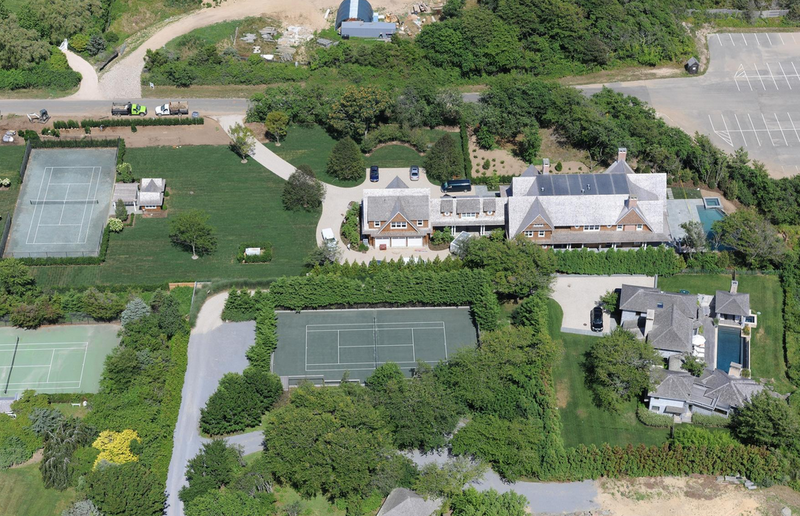 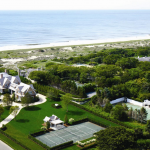 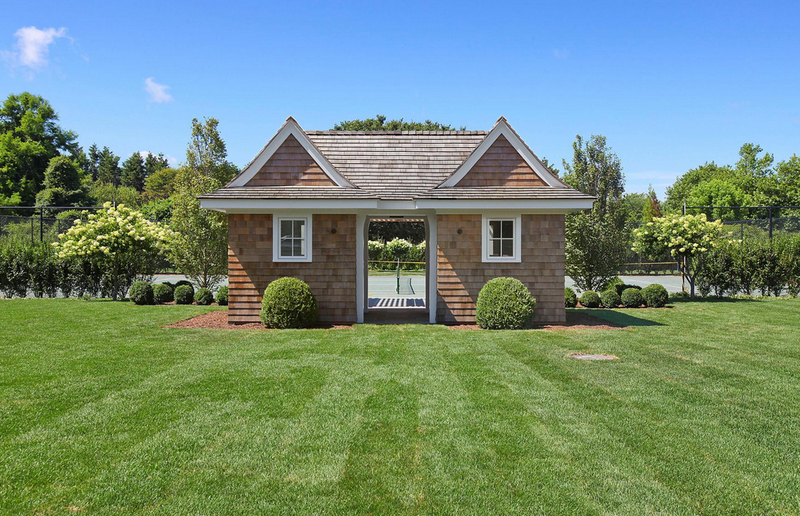 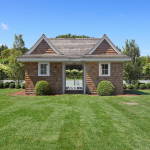 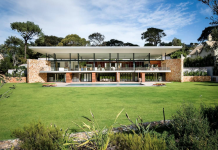 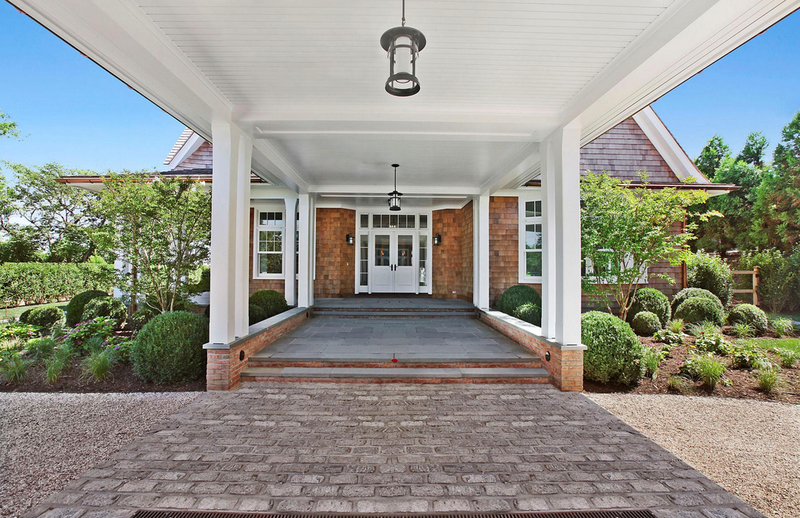 This oceanfront estate is located in East Hampton, NY and is situated on 3 acres of land. 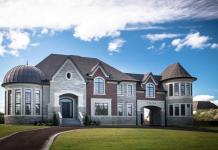 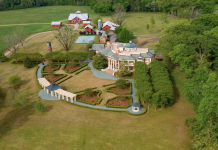 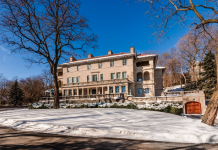 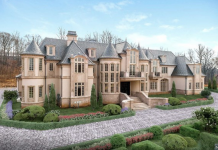 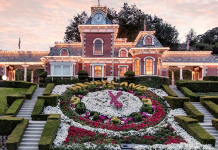 The shingle style mansion was designed by AML Architects and features approximately 8,000 square feet of living space with 8 bedrooms, 9 full and 1 half bathrooms, foyer with staircase, multiple living areas, 5 fireplaces, gourmet kitchen, 3-car garage and more. 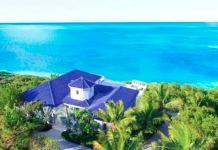 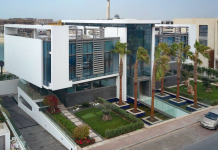 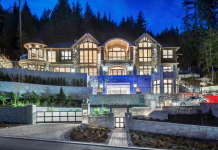 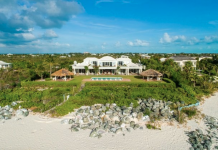 Outdoor features include a porte-cochere, balconies, kitchen/BBQ, infinity edge swimming pool with spa, tennis court with covered viewing area and a beachfront bungalow.